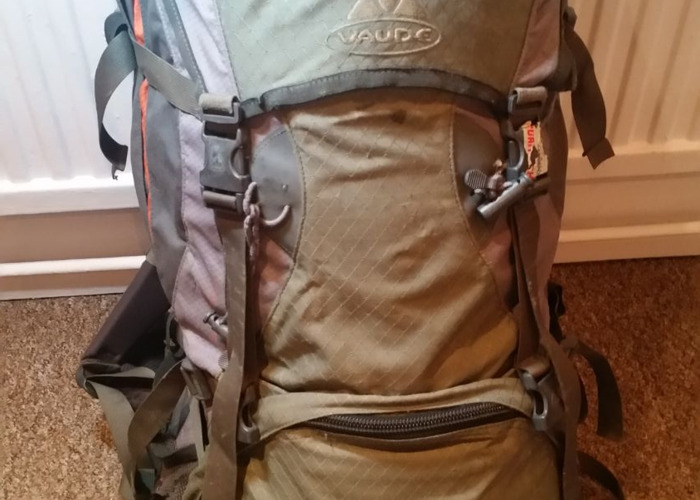 A 60l heavy duty backpack that has travelled many miles and seen a lot of countries. All zips working, loads of pockets and compartments. The backpack is extremely comfortable to carry due to adjustable back support system. It is far from new - but it is a perfect match for a hiking/camping trip, where you expect to get dirty!